David Beckham is set to join Man United mates to celebrate 20th anniversary of their 2-1 Champions League comeback win over Bayern Munich as both teams clash again in a friendly. According to the BBC, the encounter slated for Old Trafford on May 26, will parade players who participated during the match at Barca’s home ground Nou Camp in 1999. Ex-United boss Sir Alex Ferguson will seat in the dugout while the quarter of Beckham, Paul Scholes, Nicky Buttt and Jesper Blomqvist run the show on the pitch. 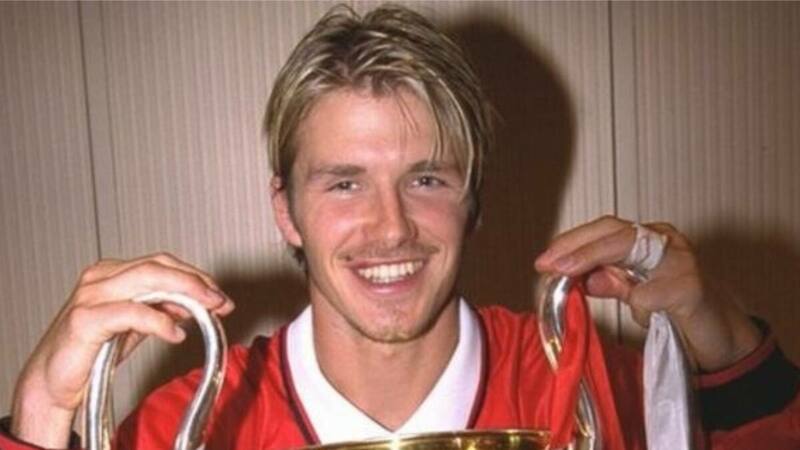 "I'm so excited to be going back to Old Trafford," Beckham was quoted as saying by the BBC. "1999 was such a massive year for us so recreating that moment is going to be really special. "To be back together as a squad and to be managed by the boss again is huge. I can't wait," he stressed. During his active days, the 43-year-old Beckham claimed six Premier League titles, two FA Cups and one Champions League silverware at United before heading to Real Madrid for £25m in 2003. In addition, current club boss Ole Gunnar Solskjaer, who netted the last-minute winner for the Red Devils back in 1999 is expected to play a role during the tie. Interestingly, two late goals from the pair of Teddy Sheringham and Solskjaer was all United needed to beat Bayern to the Champions League title – and were prominent members of the 1998-99 treble-winning squad that also won the Premier League title and the FA Cup. The encounter is expected to assist Manchester United Foundation in raising funds to meet its obligations. Earlier, Legit.ng reported that Sir Alex Ferguson will return to the dugout for the rematch of the 1999 Champions League final against Bayern Munich. Legit.ng understands that a rematch of the historic encounter staged at Nou Camp, Barcelona, two decades ago has been lined up later this season.